If you know how to test remote control, it will make your job easier; especially if you are on TV or Monitor repairing. Remote control is really cheap today. You can get “multi” remote control even just for 3 bucks in my country. There is “multi” remote control recently available in the market, which could be set to multiple device’s model and type. It means you could use one remote control for one type devices, but has different brand and code number e.g. Toshiba, Polytron, or Panasonic TV. It seems not worth to repair remote control this day, regardless it could be fixed with just a few components. Since the remote control use infra red to transmit the signal, our eyes couldn’t see it and how to know it still functions? Easy, you don’t need super heavy or expensive tool to test it. You just need a simple camera on your phone. How? 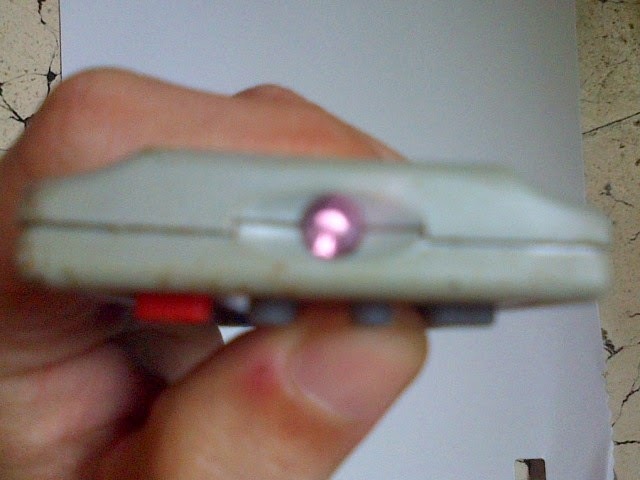 You can see on the top of your remote control has a little “led”. 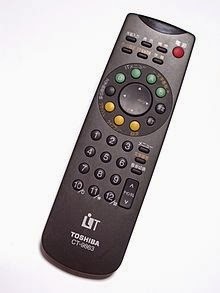 Turn this "led" towards to the camera, when you press any button on your remote control, you will notice the “led” is lit. Faulty remote wouldn’t lit the “led”. When I am not press the button yet the "led" doesn't lit. Look below picture when I pressed the button. Of course you can build a circuit to test your remote control, but why to bother with that if we have a phone with us everyday and every time. I assume you know the trick now; I want to let you know a little tips to repair remote control yourself. 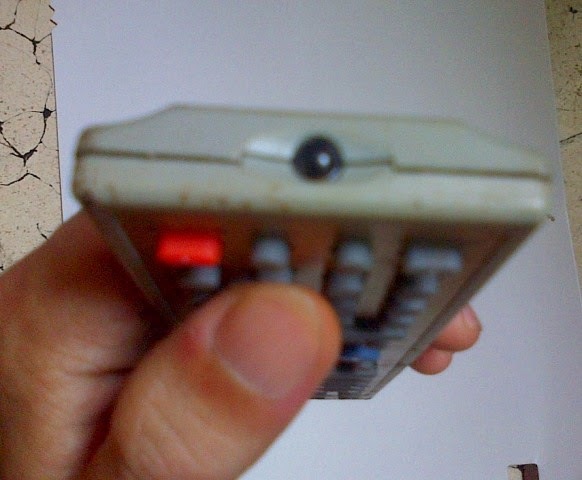 Most of the times, the failure of remote control just a dirty contact, you can see the rubber inside your remote control has a little black circle. Clean it if you find the remote control function intermittently. If this didn’t fix your problem, you have to call an engineer! Okay, just kidding. No need such an engineer skill to fix it. Now see your battery case in remote control, there are metal contact to make a connection to your battery. If the spring and metal has corroded, you could clean it with sandpaper and rub it with a little Vaseline to prevent it corroded again.